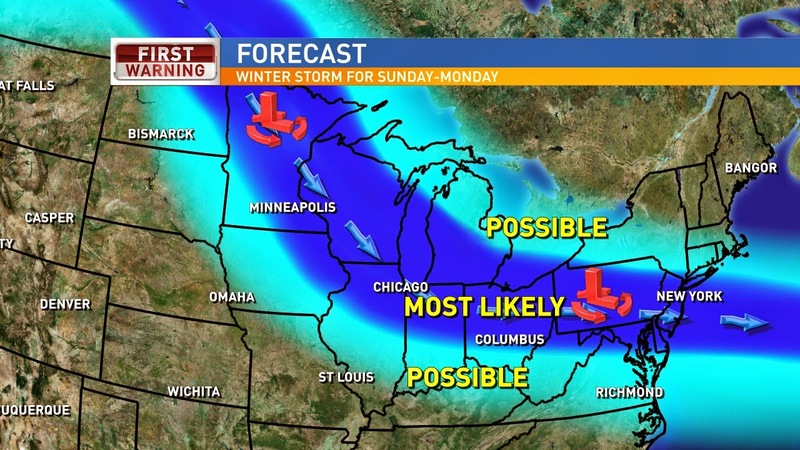 Get ready for another round of winter weather for Ohio. It is not looking to be a TON of show, but enough to make it slick over the coming days. I posted the graphic above on my Facebook yesterday, and the track of the storm is becoming a little clearer. First we are tracking a big storm heading up the East Coast. We will be on the far edge of the storm, but you can see some rain showers for SE Ohio this evening and as the temperatures fall we will see it switch over some snow this evening. 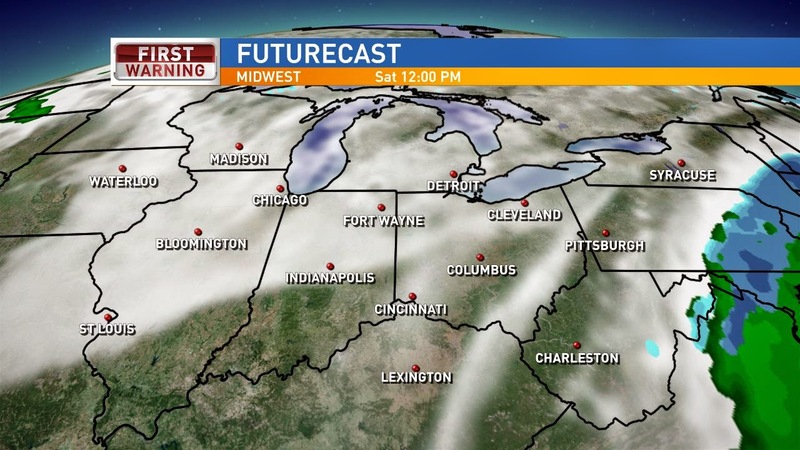 Accumulations by Saturday morning will be pretty light, but far SE Ohio could see up to an inch of snow. Not much of anything for us here in Columbus. Saturday looks decent with light winds and mostly cloudy skies, maybe a flurry or sprinkle in the evening. Then we get to Sunday. 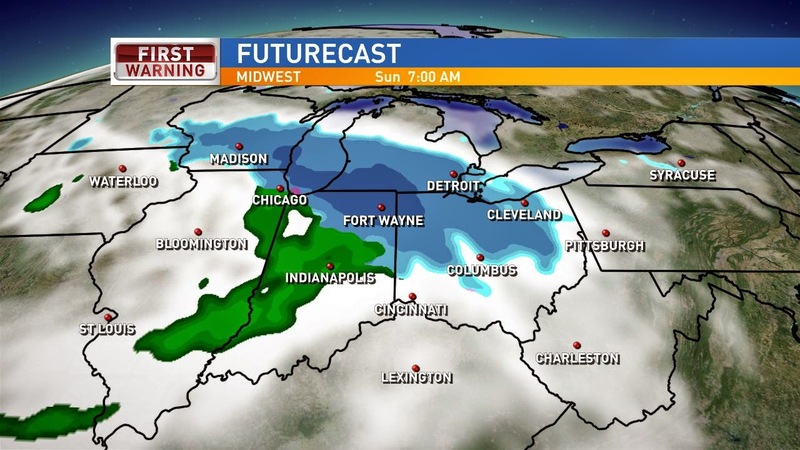 Snow showers move in around daybreak Sunday. The current track of the storm will have I-70 the general snow/rain line. Areas that stay all snow will see several inches of snow. But Southern Ohio will see more rain showers and that will melt some of the snow that already had fallen. Most of the system is out of here by 8PM Sunday evening. Other models are going a little slower with the timing of the system and lingering a little overnight into early Monday. Here is the in-house RPM model snow accumulations, above. 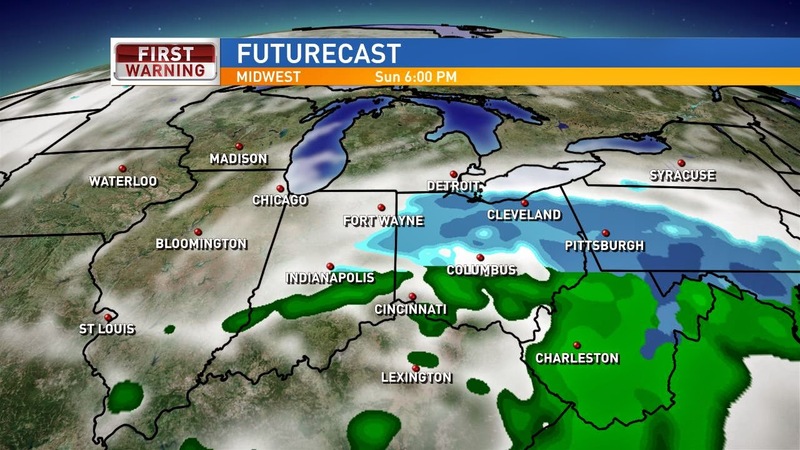 The heaviest snow will fall from Toledo to Pittsburgh with less south. So here are my thoughts. If the storm shifts south then this forecast will do the same. I think 1-2" for the Columbus metro area. 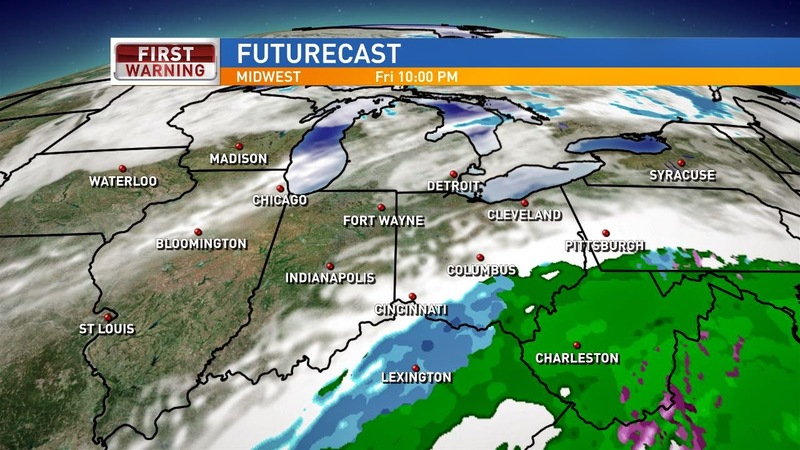 I still have 1-2" across SE Ohio, but if the Sunday rain melts a lot of the Friday night snow then totals will be lower. The Northern portions of the viewing area will see 2-4" of snow with even higher totals, 3-6" across the Northern third of Ohio. So not a major snow storm, but enough to make it slick and cause some issues. Then we stay below freezing for Monday and Tuesday. I will have another update to the Sunday system, here, on my blog. So check back in for updates... until then, have a good one!